Rayman SNES Prototype Released Online! 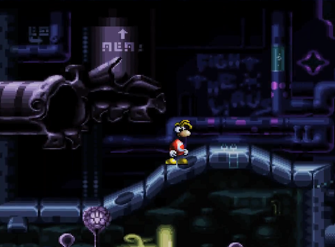 A while ago, Rayman creator Michel Ancel posted some footage of a SNES prototype of the original Rayman game. This footage wasn’t very long (showing only one level), but gave an idea what the game was like before it moved platform. Yet for whatever reason, the prototype wasn’t released. Maybe it was legal reasons. Maybe it was simply because Ubisoft didn’t think there was a point in the whole affair. Either way, it appeared all we’d see of the game was the contents of a single video. As you can see, there’s not much to it. Just the same level from Michel Ancel’s demonstration, with all enemies and collectables missing. But that’s all you can really expect here to be honest. Remember, Rayman didn’t stay in development for the SNES for very long. Indeed, Ancel himself said it was extremely difficult to fit everything they wanted onto a cartridge, and the game was quickly scrapped because the system couldn’t do it justice. So don’t expect anything too complicated here. 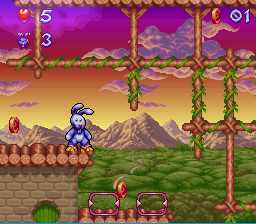 It’s not like Quik the Thunder Rabbit where much of the game was done before it was canned. Or Mr Tuff where the entire was virtually finished before it was cancelled. No, it’s an early development version of the game will all that entails. One level with some basic mechanics, nothing more. However, it’s a promising prototype none the less. Indeed, if the game was completed, it likely would have been one of the best platformers on the system. At least as far as graphics and tech were concerned. But hey, what do you think? Are you going to try the Rayman SNES prototype? Or do you feel that it’s better to let sleeping dogs lie? Post your thoughts on the matter here, on social media or on the Gaming Latest forums today! Also, for some reason looking at this makes me think of the early Rayman 2 prototype (which I actually prefer over the final version). 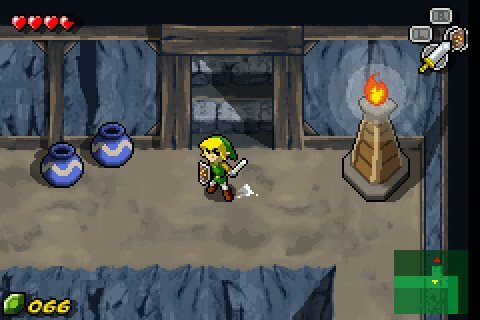 Ubisoft’s Davide Soliani Pitched a Demo for The Legend of Zelda The Wind Waker on GBA! Lost Quik the Thunder Rabbit Game Found for SNES!